Atlanta Real Food: Win a Copy of The Nimble Cook! 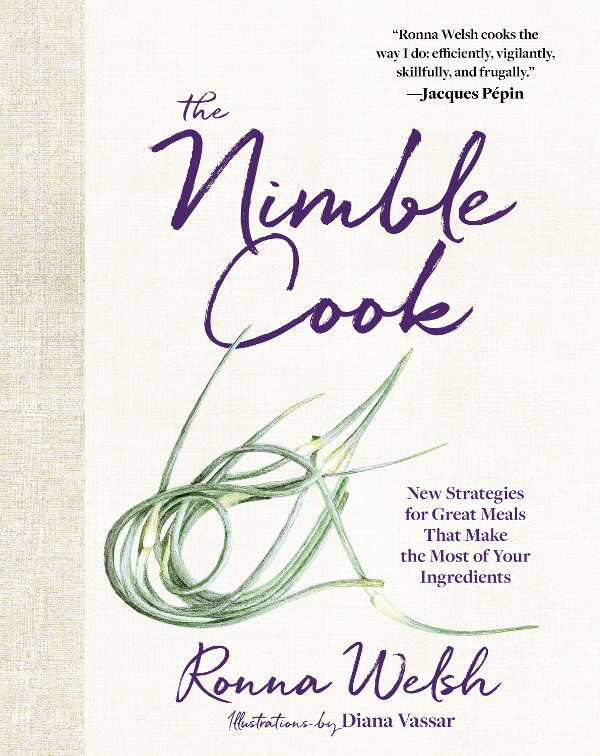 Win a Copy of The Nimble Cook! Ever feel like you've done all your food shopping for the week, only to find you're returning to the store because "there's nothing to eat?" We've just discovered a great resource for practical culinary magic: Ronna Welsh's new cookbook, The Nimble Cook - New Strategies for Great Meals that Make the Most of Your Ingredients. The Nimble Cook gives readers strategies to make the most of their ingredients—whether it be the produce that's in season at a local farmer's market, or pantry items that have been collecting dust. Ronna Welsh empowers home cooks with ways to utilize foods so that they don't go to waste and helps transform mundane ingredients into inspired meals. In partnership with publisher Houghton Mifflin Harcourt, we're giving away five copies of this inspiring new cookbook! The Nimble Cook teaches optimal prep methods, like the perfect way to dry and store greens—forget the salad spinner—for a salad made in seconds to pair with a vinaigrette composed of refrigerator door condiments. It provides hundreds of "starting point" recipes to transform basic dishes into luxurious ones, like an onion jam for burgers; a cheese stock for decadent risotto; or a mix of salt and whirred bay leaves that takes roasted shrimp or fish from ordinary to extraordinary. Enter to win by April 12th! You can also purchase The Nimble Cook: New Strategies for Great Meals That Make the Most of Your Ingredients by Ronna Welsh wherever books are sold. As always, wishing you good times in the kitchen and the celebration of good food. Winners will be chosen at random and contacted after the giveaway timeline has closed on April 12th.